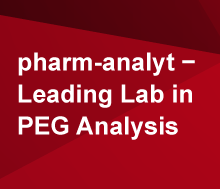 Developing extremely sensitive and selective assays based on HPLC-MS/MS-technology. Supporting clinical and preclinical studies (PK, DMPK, Tox, Bioequivalence) as well as early discovery phase. Certificates: GLP (working according to GCP) and GMP.